This article summarises what teaching staff can do in an educational context with certain types of material to ensure that they remain compliant. If your proposed use is not covered, permission needs to be obtained from the copyright owner. Photocopy or scan for examination purposes, such as setting questions, communicating questions to candidates, answering questions. Assignments, theses and dissertations which count towards a student’s final grade in a course are considered examinations. Photocopy or scan up to 10% from a published work (other than an article in a periodical publication), or one chapter of the work, whichever greater. Photocopy or scan the whole or any part of an article from a periodical publication, or more than one article from the same issue of a periodical where articles are on the same subject. . This is not intended to allow copying of multiple articles from the same issue of a periodical unless the content of each of the articles is closely related and focuses on a particular aspect of a subject. Photocopy or scan up to 15 pages of the whole or part of a single work contained in a published collection of works, notwithstanding that such works may be separately published. Supply copies to students in hard copy or electronically in digital form by way of a secure system, such as a password protected intranet. Repeat copies can not be made by or on behalf of the same staff member for the same paper, unit or module of a course of study, within 14 days. Repeat copies can be made within that time frame, from the same material by other staff members, or by the same staff member for a different paper, unit or module of a course of study. Photocopy or scan up to 3% or 3 pages of a work (published or unpublished), whichever is greater. If that constitutes a whole work (such as a poem in a collective work), then only 50% may be copied. No re-copying of that part or copying of any other part of the work or edition, permitted by anyone in the establishment, for 14 days. No charges can be made to students for this copying. You may communicate copies to students electronically. No copying of artistic works unless included within the part of any work or edition copied. Perform copying of a “short extract” from a published work for use in an anthology (intended for use in educational establishments), provided anthology consists mainly of non-copyright material or Crown copyright material or material owned by the anthology publisher. Cannot copy more than 2 extracts from works of the same author published by same publisher over 5 years. No permission to electronically communicate to students. Note that there is no permission to copy or communicate an artwork unless the source indicates that such use is permitted. Copy or communicate a work if it is included on a page copied under the CLNZ license. Copy or communicate a work if it is included in the part of any work or edition copied under Copyright Act. Photocopy or scan up to 3% or 3 pages of a work (published or unpublished), whichever is greater. If that constitutes a whole work, then only 50% may be copied. No re-copying of that part or copying of any other part of the work or edition, permitted by anyone in the establishment, for 14 days. No charges can be made to students for this copying. You may communicate copies electronically to students. Note that there is no permission to copy under the music licence. Photocopy on a case by case basis with permission from CLNZ. “Out of print” means a copyright work that cannot be obtained within a reasonable period of time at an ordinary commercial price. OOP procedure set out in the licence must be complied with. Supply copies to students in hard copy only (subject to getting the OOP permission). 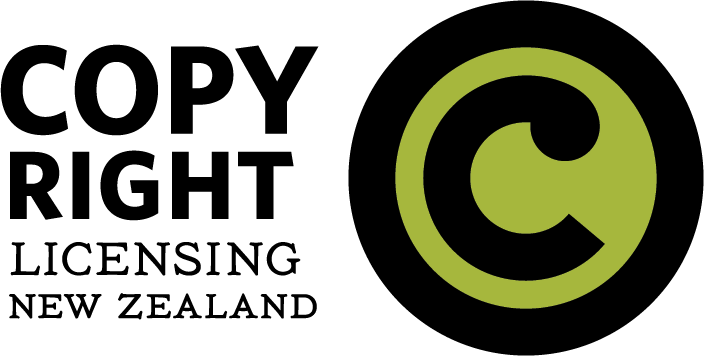 Photocopy or scan a portion of a work, on a case by case basis with permission from CLNZ (the exact amount allowed to be at the discretion of CLNZ). “In transit” means in transit to the institution and will not be received within a reasonable time prior to its required use. Work in transit procedure set out in the licence must be complied with. Supply copies to students in hard copy or electronically in digital form by way of a secure system, such as a password protected intranet (subject to getting the in transit permission). May be copied and used only in accordance with the terms of subscription licences. Make multiple copies, by any means, of up to 3% or 3 pages of a whole work, whichever is greater. If that constitutes a whole work (such as a poem in a collective work), then only 50% may be copied. No re-copying of that part or copying of any other part of the work or edition, permitted by anyone in the establishment, for 14 days. No charges can be made to students for this copying. You may communicate copies electronically to students. No copying of artistic works unless included within the part of any work or edition copied. Copy, print and distribute in accordance with terms of any open access licence (such as Creative Commons). However, do not assume all copyright material on the internet is free to use. Print multiple copies, by any means, of up to 3% or 3 pages of a work, whichever is greater. If that constitutes a whole work (such as a poem in a collective work), then only 50% may be copied. No re-copying of that part or copying of any other part of the work or edition, permitted by anyone in the establishment, for 14 days. No charges can be made to students for this copying. Can also communicate copies electronically to students. Artistic works such as images must not be copied under this provision unless included within the part of any text-based work or edition copied. name of the educational establishment and date of storage stated. Avoid copyright issues by not reproducing the material. Copy by teachers (or students) for the educational purposes of making a film or film sound track. Students cannot be charged for the supply of these copies. Copy sound recordings where the lesson relates to the learning of a language or is conducted by correspondence. Students cannot be charged for the supply of these copies. Play or show before audience of staff or students at the institution (not parents/guardians). Paying audience not permitted. No permission to play in public. Carry out performances of works by students or staff, before audience of staff or students at the institution (not parents/guardians). Paying audience not permitted. Perform or play for educational purposes, for example during live concerts or other events performed at the institution by students. Copy and communicate for educational purposes. Combine music/recordings with video or digital recordings for educational purposes. No adaptation of music, for example you are not allowed to perform any music with new or substituted lyrics. Performing entire Grand Rights works i.e. productions where music has been specifically composed for a theatrical work (e.g. Cats or West Side Story) and making video recordings (including excerpts). Performing Choral Works of more than 20 minutes duration in its entirety i.e. a musical work written to be sung by a choir or group of singers, with or without any instrumental accompaniment. Performance of music in Dramatic Context i.e. in conjunction with acting, costumes, scenic accessories and scripted dialogue or other dramatic effects. Perform music so as to burlesque or parody. Copy from radio and TV broadcasts (including Pay TV). Download online audio visual programmes (provided they are legally available). Make multiple copies in any format. Use learning management systems to access and communicate copied programmes. Retain copied materials as an ongoing educational resource for future years.